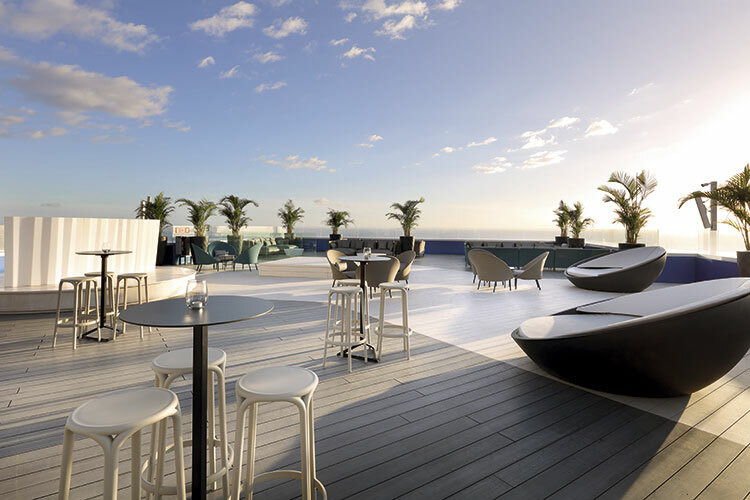 Hard Rock Hotel Tenerife is a completely renovated hotel that opened in October 2016. 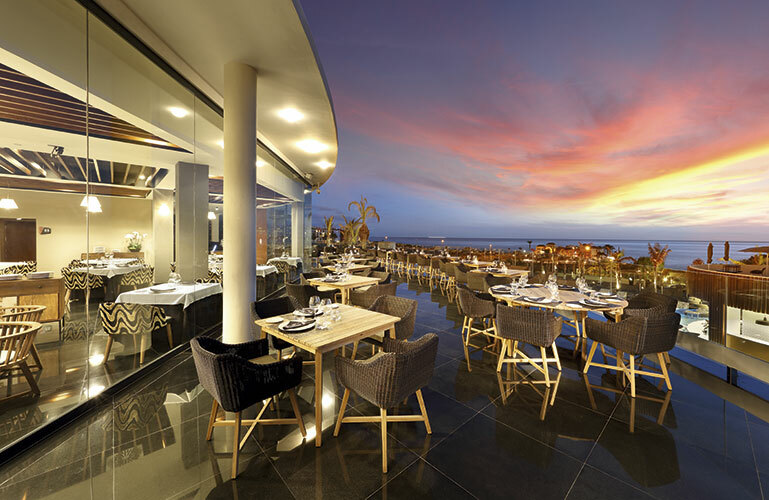 The unique beachfront resort is spread across the Oasis and Nirvana towers, with a total of 624 rooms – including 266 suites – and three sparkling swimming pools spanning the property, along with a whole host of high-end leisure facilities. 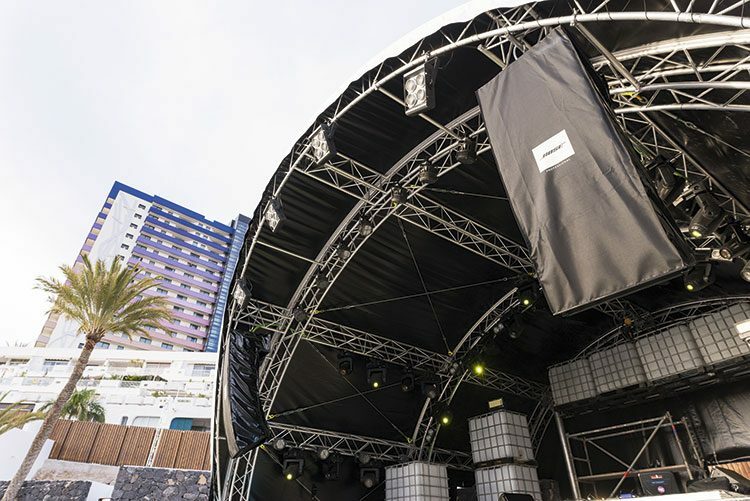 Hard Rock Hotel Tenerife offers guests an immersive musical experience, with an energising event programme of live concerts at the hotel’s open-air stage area, adjacent to the seawater lagoon with a 5,000-person capacity. DJ sessions, acoustic bands and vocalists can also play in various parts of the hotel throughout the day. To deliver what is an unprecedented audio experience for a hotel, the team from Hard Rock selected Bose Professional. Various audio systems from Bose are used throughout the complex, including the first European installation of the brand new ShowMatch DeltaQ array loudspeaker system. The new system was debuted at ‘The Children of the ‘80s’ Grand Opening Party by Hard Rock International and Palladium Hotel Group, which delivered an extravaganza of colour, dance floor fillers and sing-a-long classics. 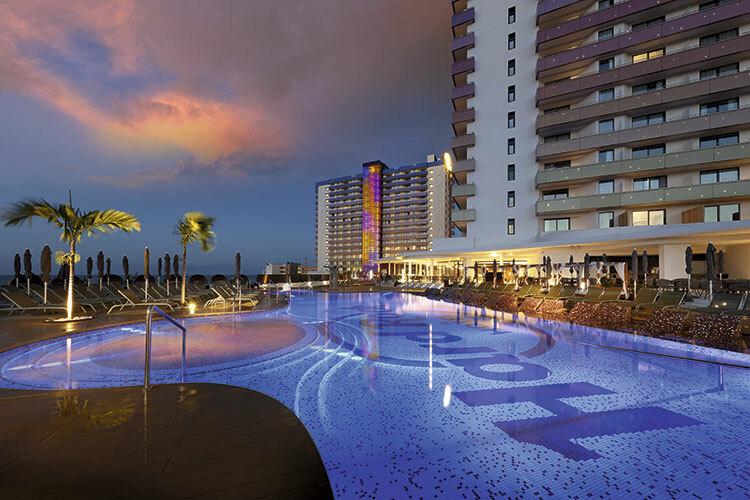 “I think what was great when working with the Hard Rock team was that they’re such discerning listeners when it comes to the sound quality, so it wasn’t just ‘we want a sound system’, they really wanted to go in depth and find the right solutions for each individual area – and that was absolutely perfect for us,” said Fuat Koro, Global Sales & Marketing, Bose. Danny Gomez, PR & Sponsoring Manager at Palladium Hotel Group, was also left delighted with the project: “Everything went well, Bose used a great installation team that is definitely needed with such a complex system. You need experts behind you all the way providing their assistance and maintenance. These guys are also used to working with us on previous projects that makes future projects a lot easier. “Now, the next step for us is to create more new experiences and ventures using our strong relationship with Bose,” he added.